The summer is all about going to events such as a wedding or blogger party, some dressy and some casual. 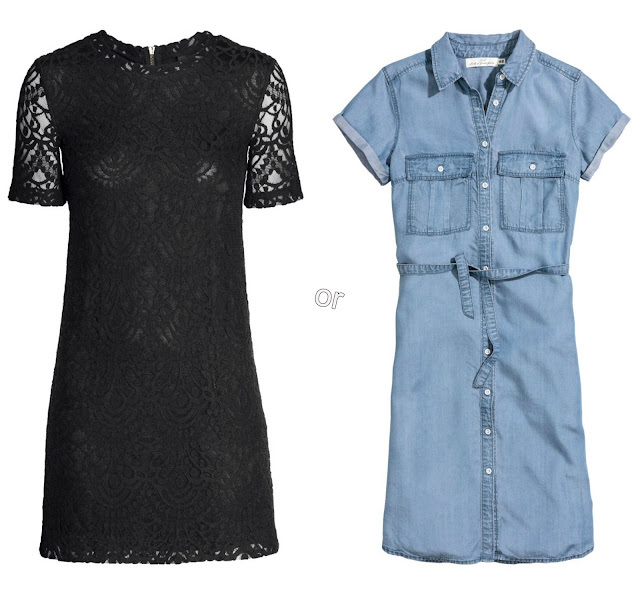 The big debate has been do you stay traditional and wear a little black dress (LBD) or break the rules and wear a little denim dress (LDD)? I say break the rules, have fun and wear the little denim dress. There are so many styles/cuts of denim dresses that you can wear them to just about any kind of event. I wouldn't recommend wearing a denim dress to the White House for a formal dinner but out to brunch or on a date would be perfect. I can't lie when I think of a denim dress I imagine me being in pigtails with sneakers as a little girl. I never thought I would grow up and make it look chic with heels. Its a piece that keeps evolving with you through out the years.